How Do I Set Up Utilities? How Do I Submit a Work Order? Adams Hall is a three-story residence hall for freshmen women. 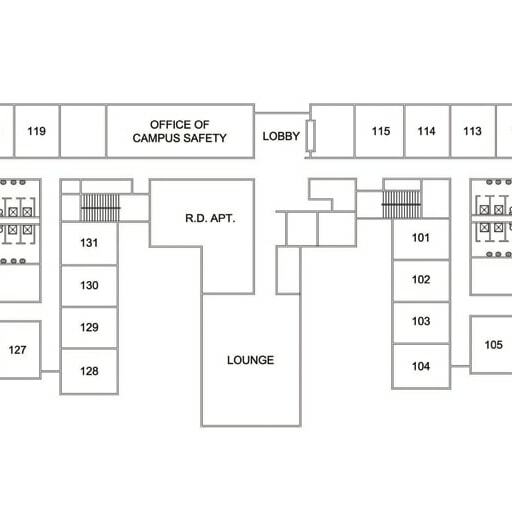 Each wing features a study room, card-operated laundry facilities, and community-style bathrooms. 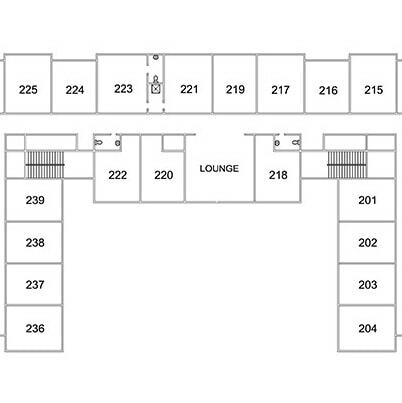 There is a large lounge on the first floor and smaller lounges on the second and third floors. 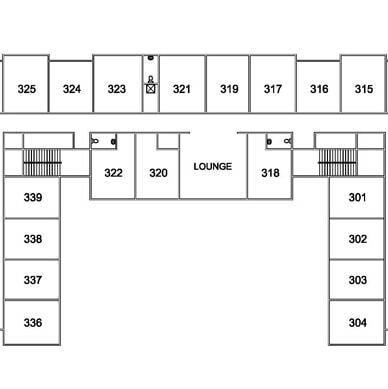 APU provides built-in desks, chairs, twin beds (APU Bed Specifications (PDF)), and mini blinds, as well as built-in closets and a built-in dresser. All residents must purchase a dining plan in accordance with university requirements. Housing rates are reviewed for each academic year and are applied directly to student accounts for each semester. Rates vary based on living area and room type. Rates may also differ based on student occupancy in oversubscribed rooms. For current semester rates and information on voluntary and involuntary oversubscription discounts, view the 2019-20 Housing Rate Sheet (PDF). Monday-Friday, 9 a.m.-12 p.m., 1-4 p.m.